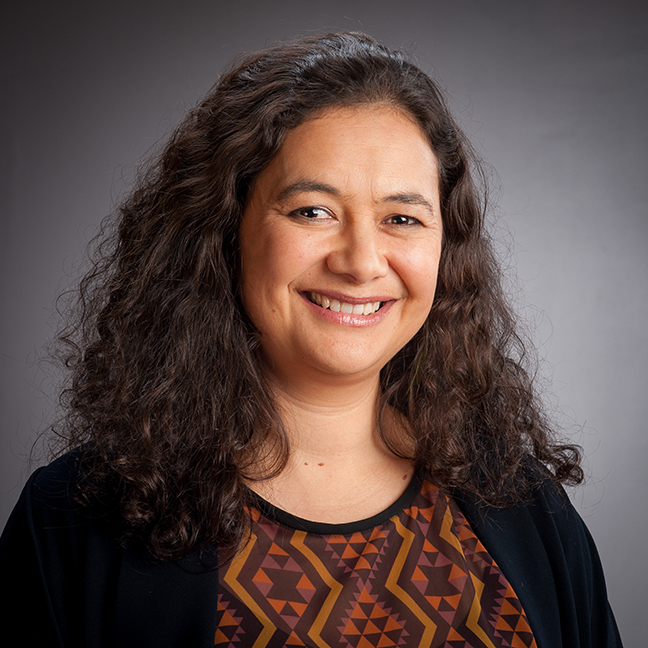 Lisa Te Morenga (Ngapuhi, Ngāti Whātua, Te Rarawa) is Senior Lecturer Māori Health and Nutrition in the School of Health. She completed a PhD in Human Nutrition in 2010 at the University of Otago and continued as a senior research fellow in the Department of Human Nutrition and Associate Dean Māori in the Division of Sciences until 2018. She is a principal investigator with Edgar Diabetes and Obesity Research at the University of Otago and an associate investigator with the Riddet Institute – a National Centre of Research Excellence food material science, novel food processing, human nutrition and gastrointestinal biology and Ngā Pae o te Māramatanga - New Zealand's Māori Centre of Research Excellence. Lisa's research interests involve the role of diet in the treatment and prevention of obesity, the metabolic syndrome, diabetes and cardiovascular disease. She has a special interest in the relationship between nutrition and hauora (Māori health). Lisa’s primary motivation is to undertake research that is of direct benefit to Māori and thus focuses on the role of nutrition in the development of preventable diseases that inflict a particularly high health burden on the Maori community. Epidemiological studies, dietary intervention studies, and systematic review and meta-analyses examining the effects of macronutrient composition (including free sugars, dietary fibre, carbohydrates, fats and protein) on physiological endpoints associated with increased risk of preventable diseases including obesity, the metabolic syndrome, diabetes and cardiovascular disease. Devonia Kruimer. Development and application of dietary sugars intake biomarkers. 2017. Catherine Lofthouse. Low sodium diets: feasibility in New Zealand. 2016. Vanessa Blyth. Validation of a Food Frequency Questionnaire assessing the sugar intakes of Pacific Islanders in Auckland, New Zealand. 2015. Leah McNeil. The effect of dietary sugars on uric acid and cardio-metabolic risk factors in East Coast Maori. 2015. Elain Furter. The Māori Kai semi-quantitative food frequency questionnaire: relative validity and reliability for assessing usual sugar intakes in New Zealand East Coast Māori. 2014. Olivia Boniface. Validation of a short Food Frequency Questionnaire which ranks individuals by sugar intakes in Pacific Islanders living in South Auckland, New Zealand. 2014. Petra Teufl. Development, validation and test-retest reliability of a short food frequency questionnaire that measures sugar intake in Pukapuka Pacific Islanders living in Auckland, New Zealand. 2014. Hannah Walter. Development, validation and reliability of a short food frequency questionnaire that measures sugar intake in Maori living in Gisborne, New Zealand. 2014. Peter Crutchley. The effect of replacing sugary-sweetened beverages on serum uric acid, the metabolic syndrome, and its components. 2013. Alex Howatson. Dietary sugar and blood pressure: A systematic review and meta-analysis Completed. 2013. Rhiannon Jones. A meta-analysis on the effects of dietary sugar on blood lipids. 2013. Mathew Bourke. Sugar-Sweetened Beverages and their link to Insulin Resistance. 2014.